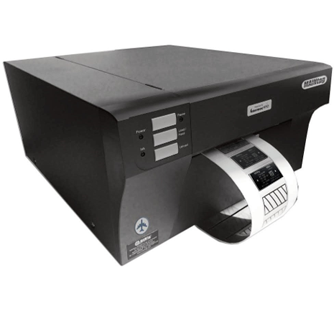 Despite its many advantages, laser marking of durable label film has always been a complicated and expensive process. It required highly-trained operators, a large capital equipment investment, lots of maintenance, and a secured work area for safe operation. MAINtag’s new RP130-ATA Laser Engraving Unit is the new RFID parts marking paradigm. Built to be installed on your desktop or workbench, RP130-ATA makes the laser engraving process easy and convenient. It’s used just like any other Windows®-based printer. RP130-ATA RFID Laser Engraving Units contains a high-powered, solid state fiber optic coupled laser and an RFID high performing reader/encoder. The laser either ablates or phase-changes a wide range of specialty label substrates, delivering all the advantages of highly-durable laser label marking but at a much lower cost and with far greater simplicity than ever before. RP-130-ATA Laser Engraving Unit makes the best-selling FLYtag® flyable RFID parts marking solution the choice of the leading aircraft manufacturers and subsystem suppliers of the aerospace industry. RP130-ATA works with all FLYtag® skin and FLYtag® fiber family as well as all standard UHF RFID tags. Compliant with ATA Spec 2000 Chap. 9 / TDS 1.11 encoding, the RP-130-ATA is built to mark and encode RIFD tags for low-memory (SINGLE/DUAL-Record) and High memory (MULTI-Record) passive UHF technology supporting ISO 18000-6C and ATA Spec 2000 Chap. 9-5 and Appendix 11 standards. FLYtag®, selected by Airbus for the A350 XWB’s first RFID parts marking program, has become the standard for the aviation industry. RP130-ATA Laser Engraving Unit is designed for identification and maintenance, repair and overhaul tracking applications throughout the civil and military aircraft and aerospace industries.